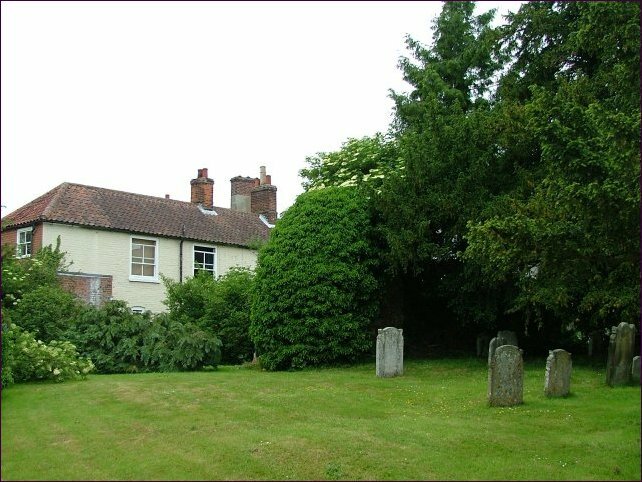 It was unlikely that all three of the Reepham churches would survive the Reformation, and in the event this was the one that went first, destroyed in the 1540s. The demise is put down to a fire, but the date suggests it was actually derelicted by the Protestant reformers. Perhaps it had been served by a monastery or priory, and no longer served a useful purpose. The materials were used to expand Whitwell church. It can never have been very big, probably about as big as Whitwell. 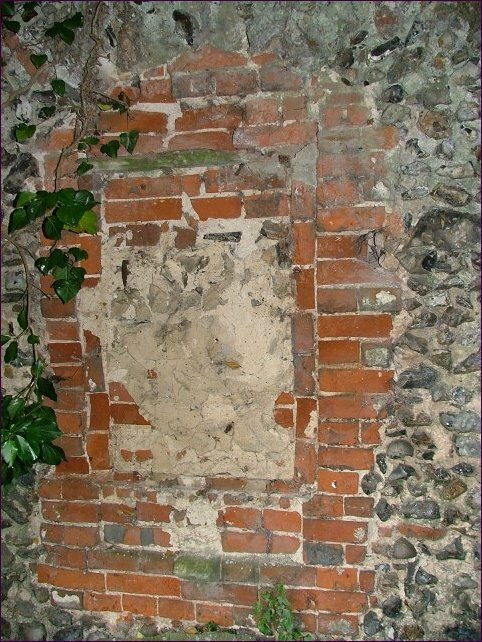 The part that survives must have been at the west of the building, but is a curiousity; it consists of a flint wall, the knapped flints facing east - that is to say, they were on the exterior of an eastern wall. The central void appears to have been a window, so it may well be that this was the eastern wall of a south porch. The void was bricked up to form a mausoleum, probably towards the end of the 17th century. 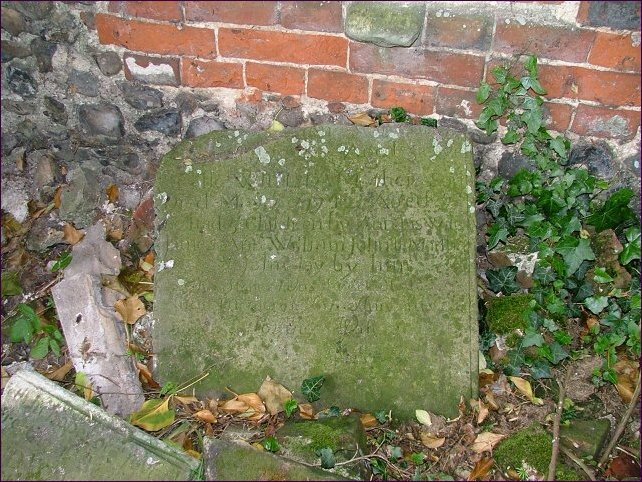 A large tablet was cemented to the brickwork, but this has fallen down in recent years, and now lies broken in pieces on the ground below. 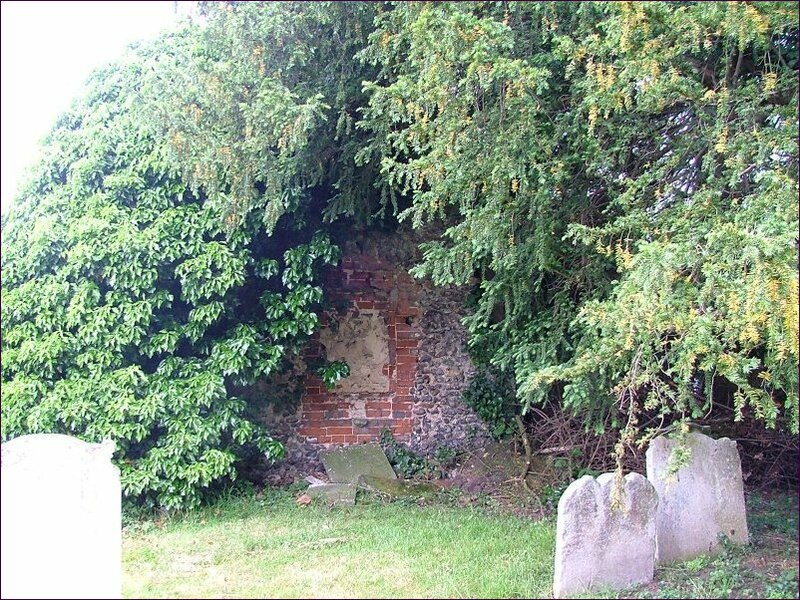 Trees and bushes overgrow the ruins pleasantly, and a scattering of later gravestones stand in the green cushion where the body of the church used to be. There must once have been many more.